Did you wake up in the mood for skiing and traveling? 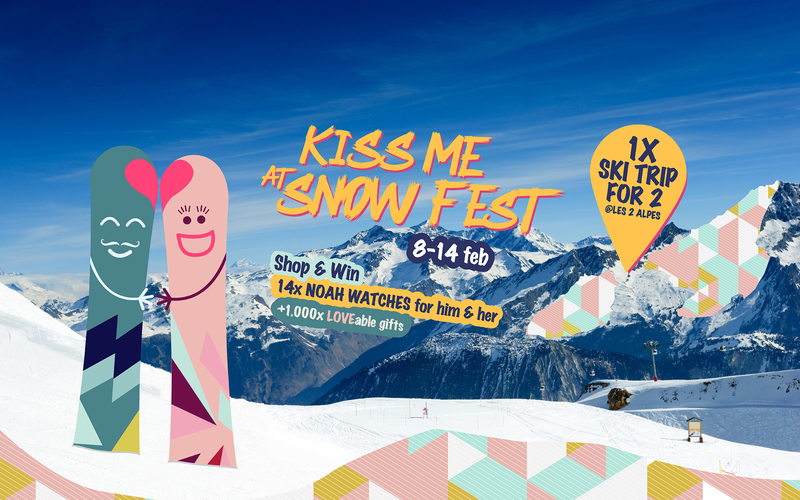 "Kiss me at Snowfest" is the winter challenge at Iulius Mall Cluj! Shopping in Iulius Mall Cluj stores from February 8 to 14 2019 can bring you LOVEable prizes: 1 x ski trip in France, at Snow Fest for you and your + 1 (transportation included), and other 150 prizez on the spot, every day. "Kiss me at Snow Fest" is the winter challenge at Iulius Mall Cluj. You can sign in for the contest with 100 lei shopping receipts dated from February 8 to 14, 2019. You can register electronically at the Award Point located in the Massimo Dutti area.